Custom Membership programs, Course add-ons, and payments options to fit any industry, any business goal, and any budget. There are no excuses. Join today. » Create lead lists and find new opportunities? » Massively impress prospects and clients? » Earn permission to ask great questions? » Provide more value and win more business? 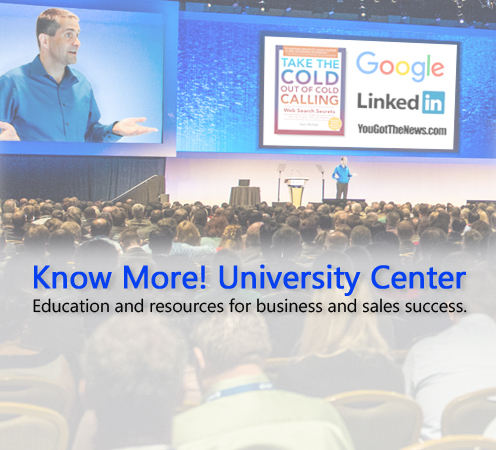 Join the Center and access a world of business and sales intelligence. Get the inside secrets for finding information, and use knowledge to dramatically grow your bottom line. Information is Power. Knowledge is Leverage. Action is Money.